= Actinonaias computata Crosse & Fischer, 1893. — Bogan (2010). = Actinonaias computatus (Crosse & Fischer, 1893). — Graf & Cummings (2007). = Actinonaias computata (Crosse & Fischer, 1893). — Haas (1969). 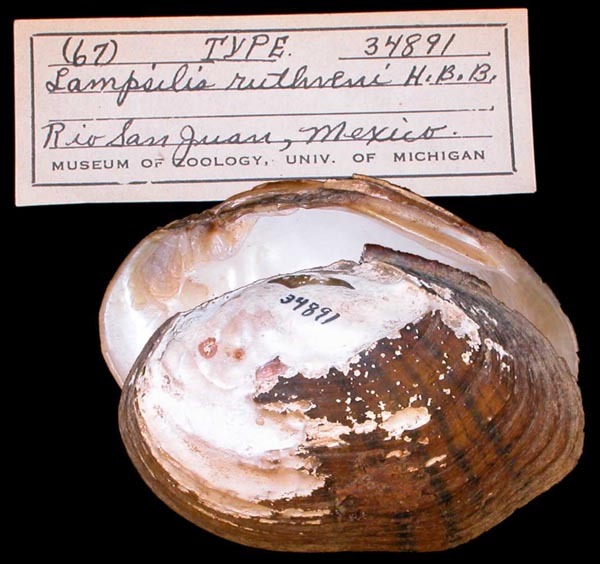 + Lampsilis (Actinonaias) ruthveni Baker, H.B., 1922. — Frierson (1927). = Lampsilis (Actinonaias) computata (Crosse & Fischer, 1893). — Frierson (1927). = Nephronaias computata (Crosse & Fischer, 1893). — Simpson (1914). = Unio (Lampsilis) computatus Crosse & Fischer, 1893. — Martens (1900). = Unio (Actinonaias) computatus Crosse & Fischer, 1893. — Fischer & Crosse (1894). Unio computatus Crosse & Fischer, 1893. Crosse & Fischer, 1893, J. de Conch. : 295. Fischer & Crosse, 1894, Miss. Sci. Mexique, Rech. Zool. : 601, pl. 67, figs. 2-2a. 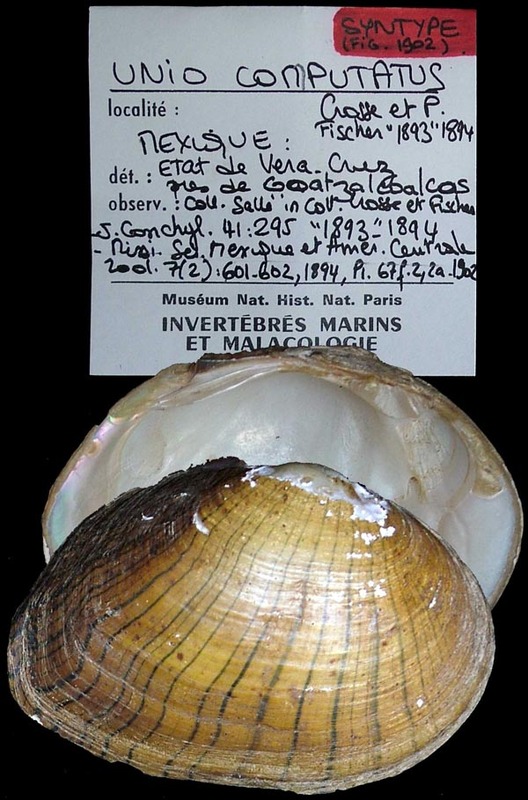 Type(s): SYNTYPE MNHN-IM-2000-1662, Coatzacoalcos, Vera Cruz, Mexico. Lampsilis ruthveni H.B. Baker, 1922. H.B. Baker, 1922, Occ. Pap. Mus. Zool. Univ. Mich.: 29, pl. 11, fig. 53; pl. 12, fig. 53; pl. 13, figs. 51-54.